Ross Paterson will be the tutor for this workshop, to be held 30 June & 1 July 2018. 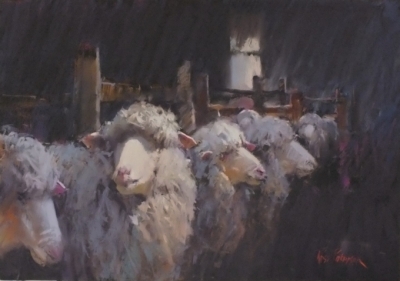 The workshop theme is “Using light to Create Dynamic Pastel Paintings”. Ross is internationally acclaimed and one of Australia’s most influential artists, excelling in the mediums of pastel, oil, and watercolour. He has exhibited in all mediums both in Australia and overseas. As a pastel painter, Ross is in constant demand for his tutorials throughout Australia, China, NZ, Europe and other overseas countries. Ross is a very generous and methodical teacher who imparts knowledge in a concise and positive manner for all levels of development. Click here for the Enrolment Form. Please email it to Coordinator Colin Parnaby lawpar@gmail.com or call 0409 904 314 as soon as possible if you have any questions regarding the workshop. A materials list is now available for all applicants. The cost is $160 with full payment due by 11 May.